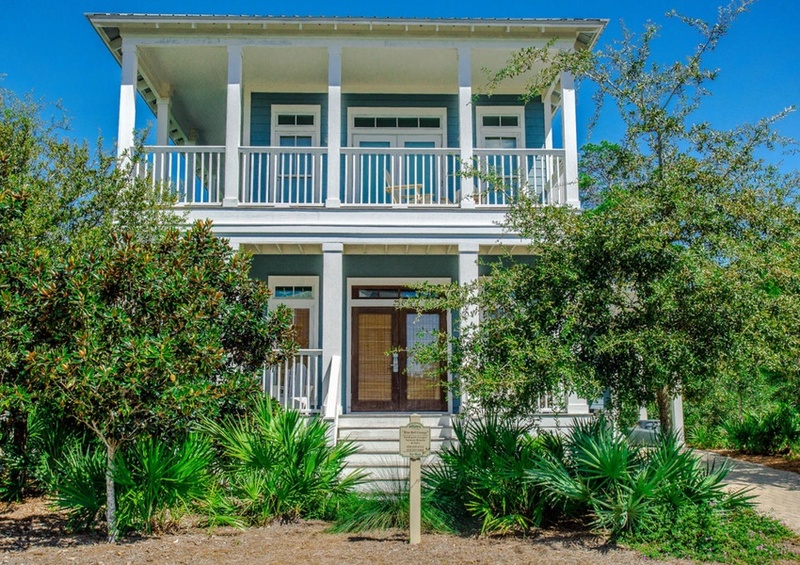 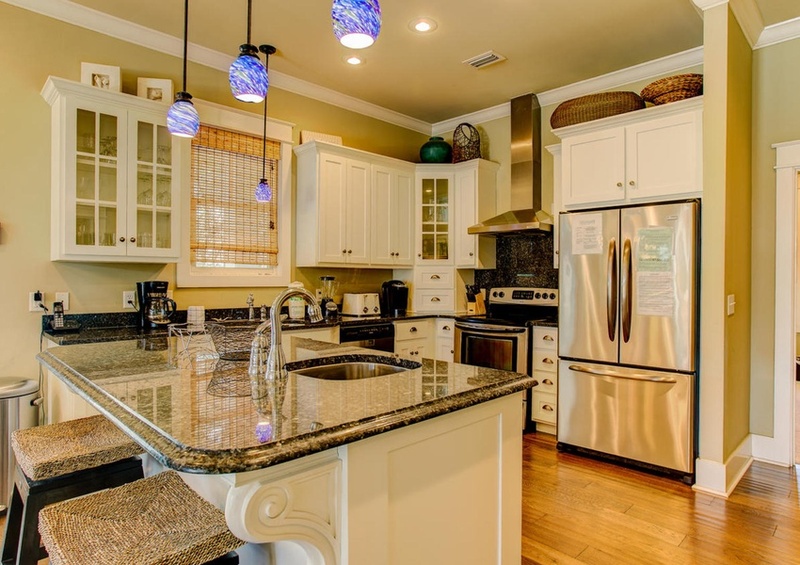 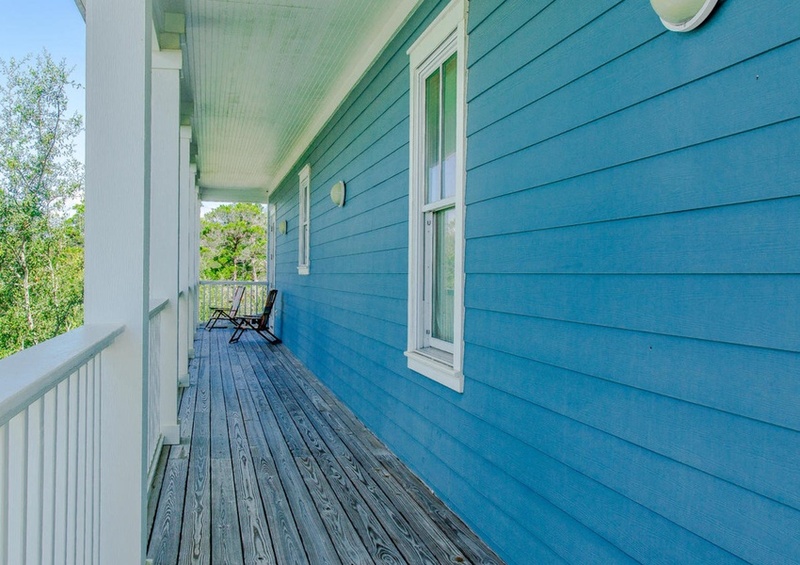 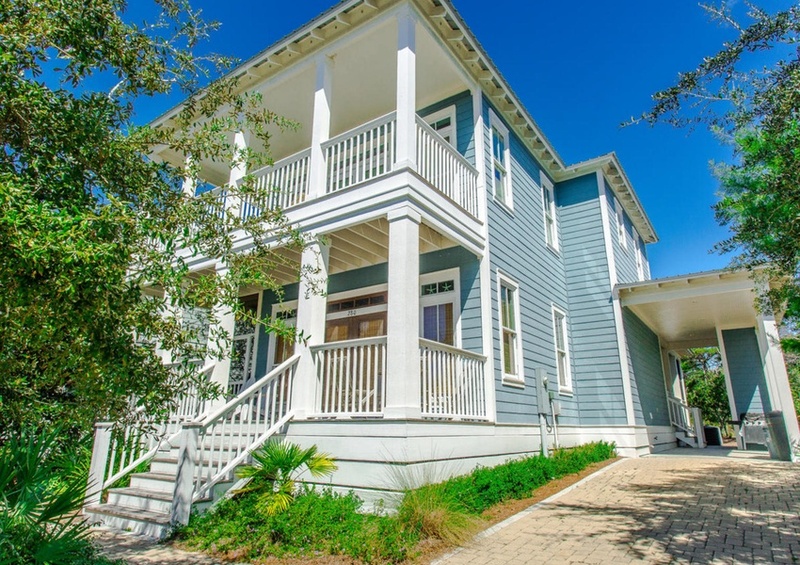 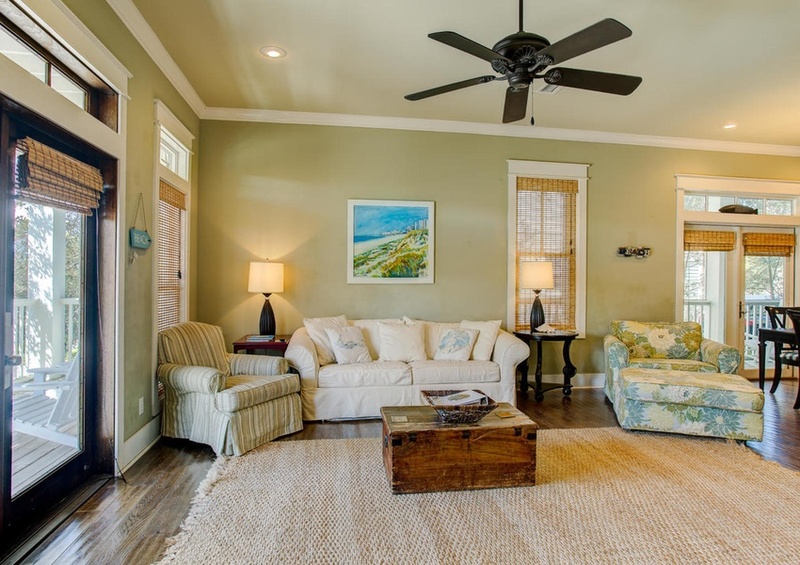 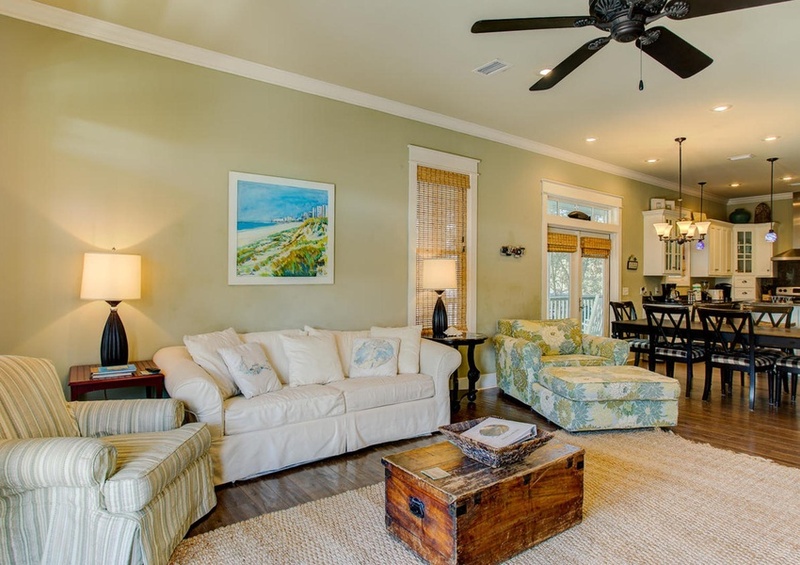 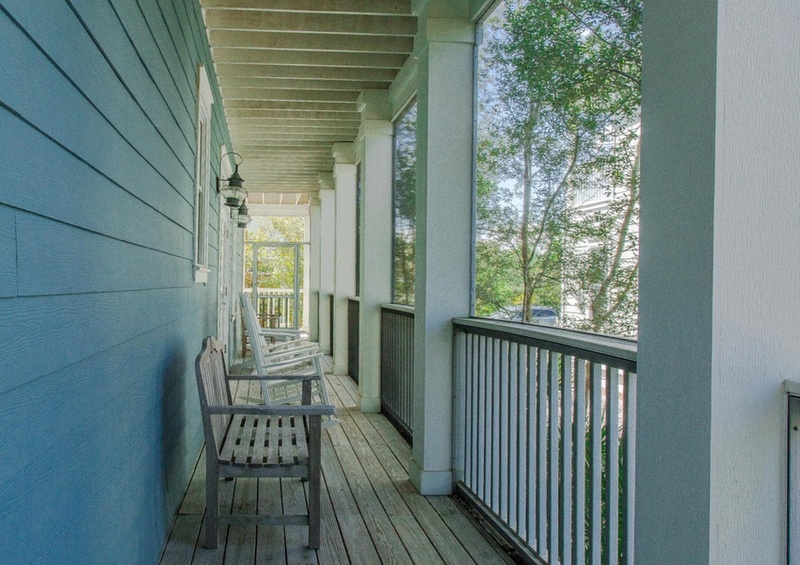 Happiness won’t be in shortage during your stay at the Blue Bell Cottage ~ Vacation Rental Home in 30A by Southern! 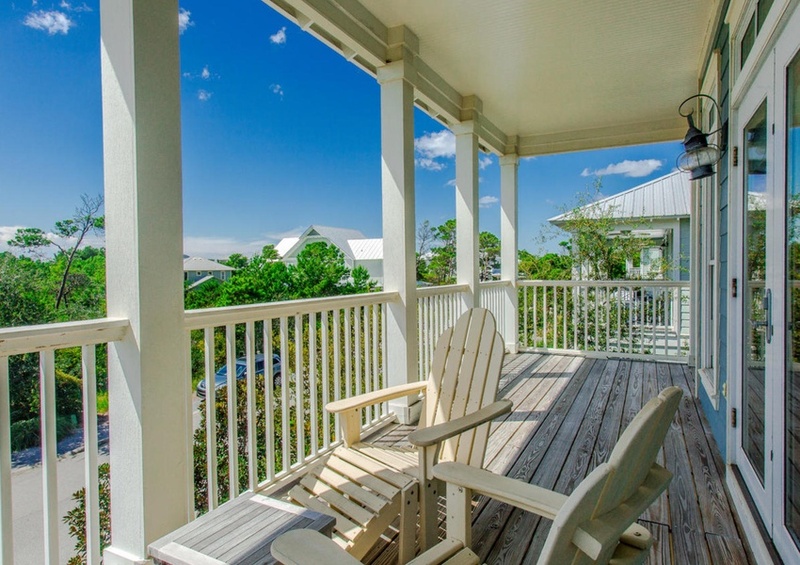 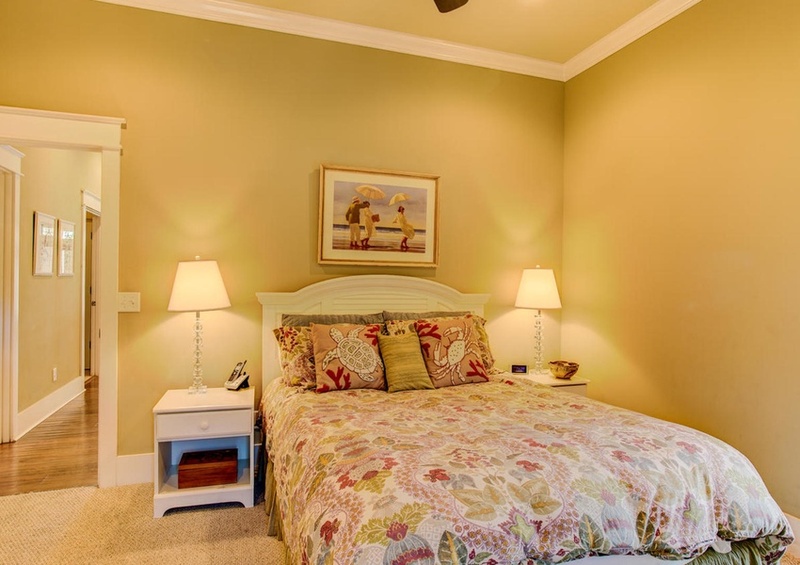 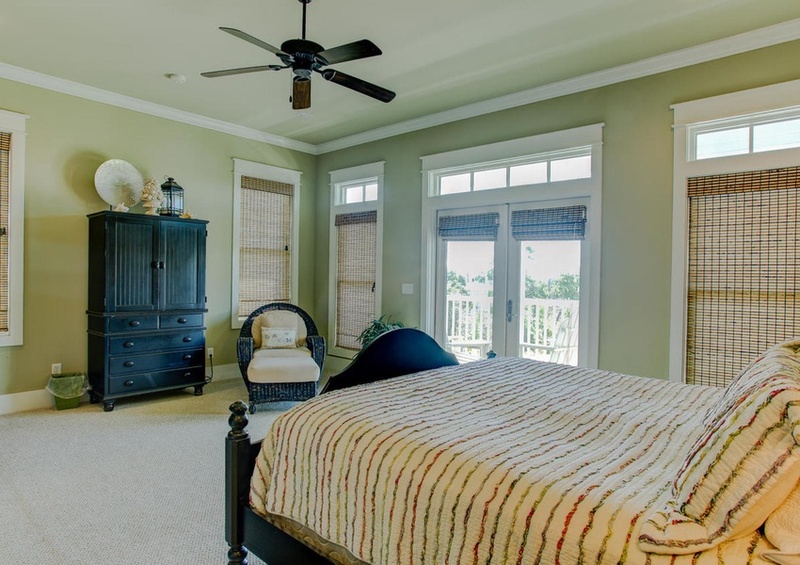 Located in the highly desirable Preserves in Grayton Beach, this community is decorated with beautiful Floridian flora. 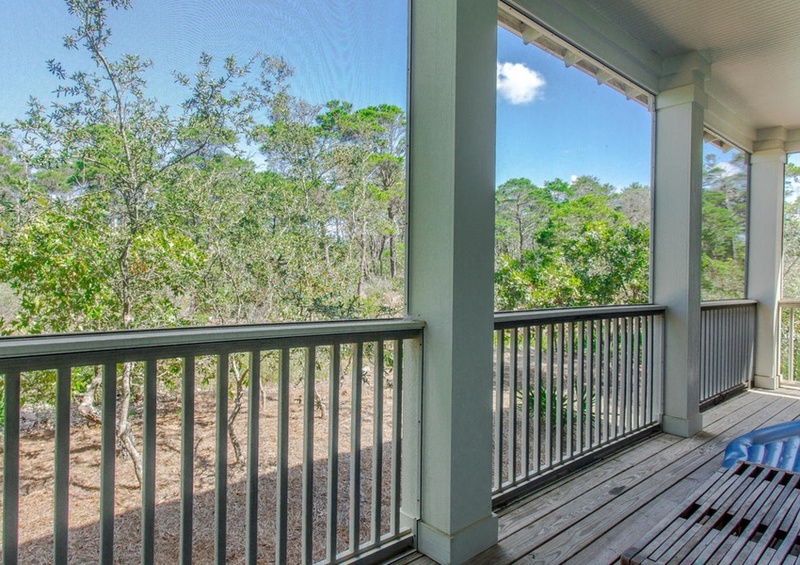 Unspoiled natural preserves, tall pines, oaks, palmettos, and lush greenery adorn your neighborhood. 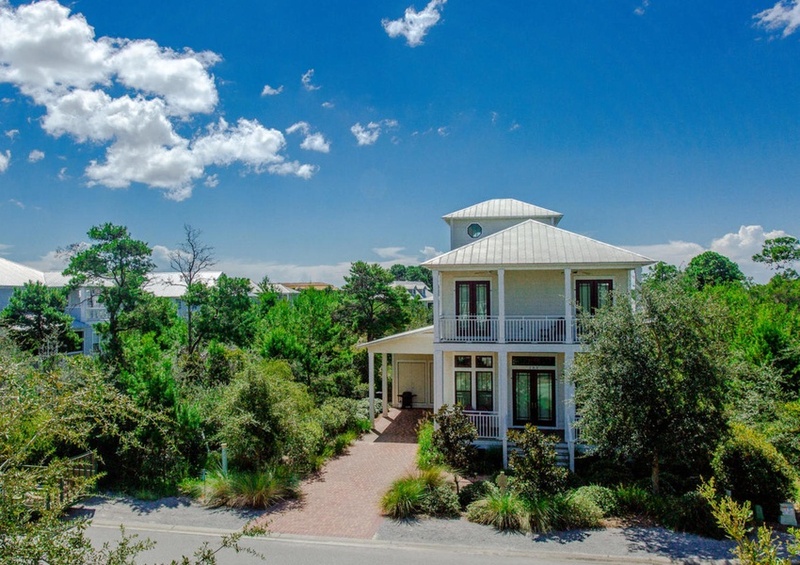 Within a leisurely walk are the sugar sand beaches of 30A and the untarnished beauty of the Preserves in Grayton Beach. 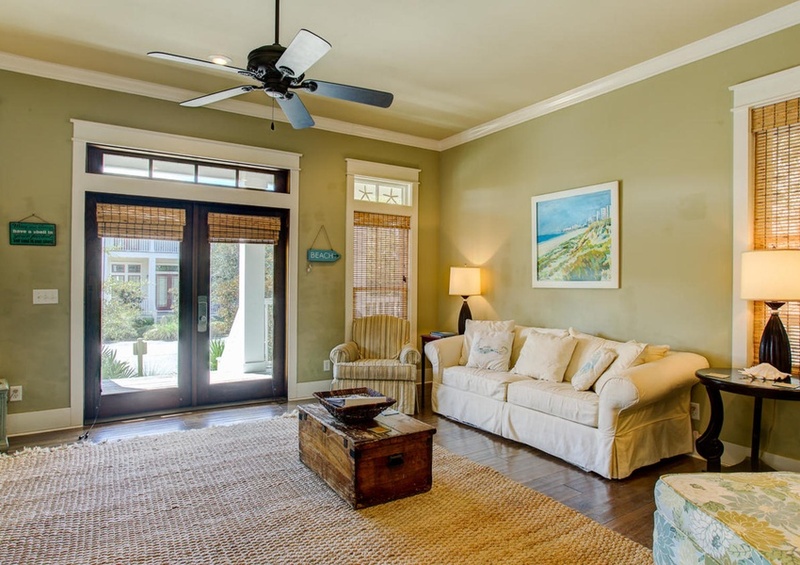 This home features numerous tall windows throughout the property, allowing for bright natural lighting to markedly illuminate nearly every room. 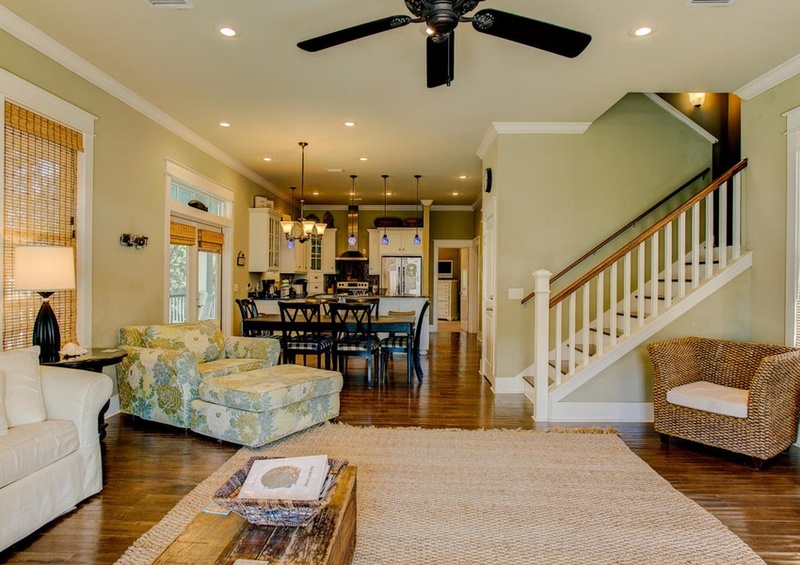 Enter the home and you’ll be greeted by an elegant open floor plan and living room also offering ample seating. 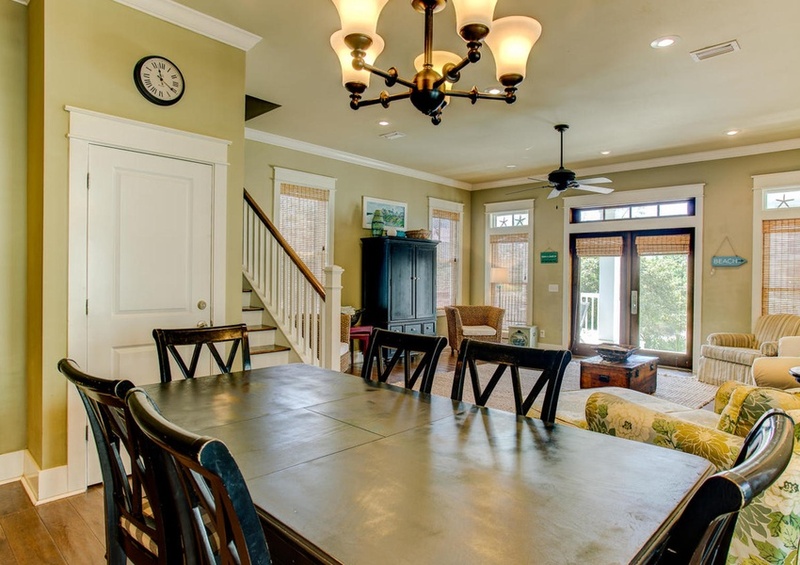 Through the living room is the dining room and fully equipped kitchen. 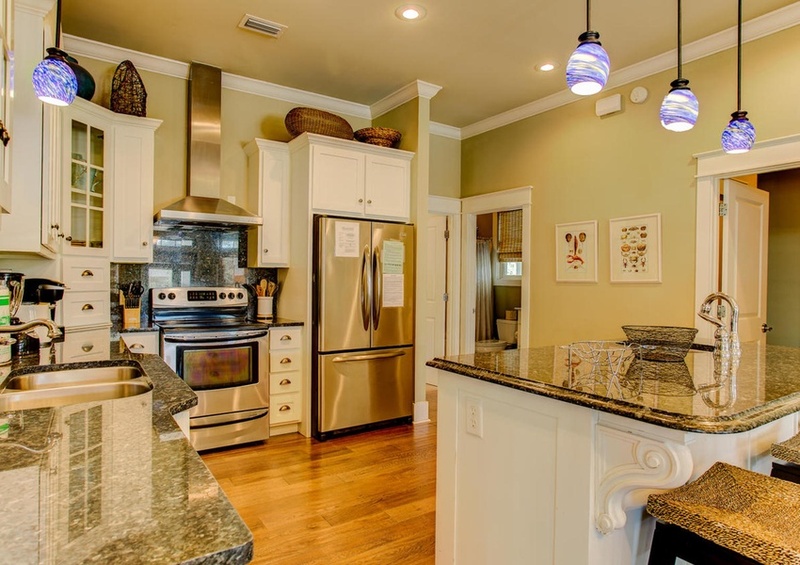 Granite countertops and all stainless steel appliances throughout. 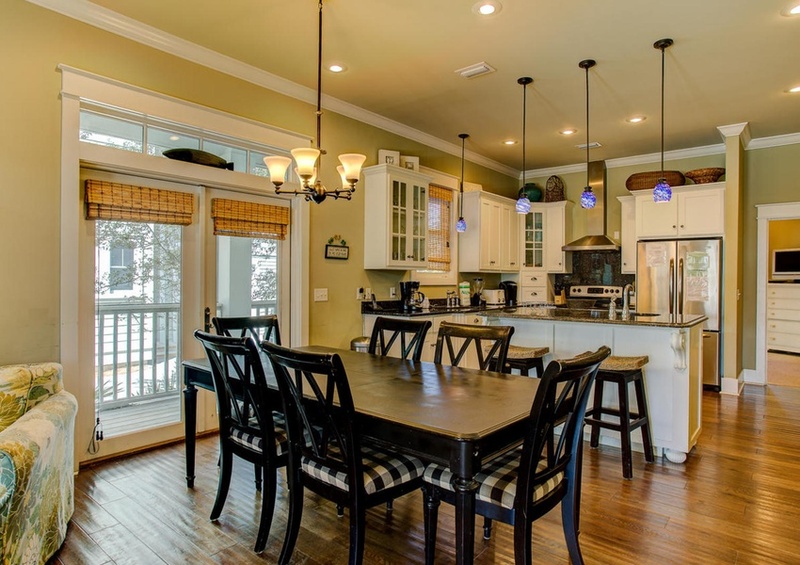 Generous seating in addition to all of the kitchen’s amenities will ensure you have everything you’ll need for a friend and family get together! 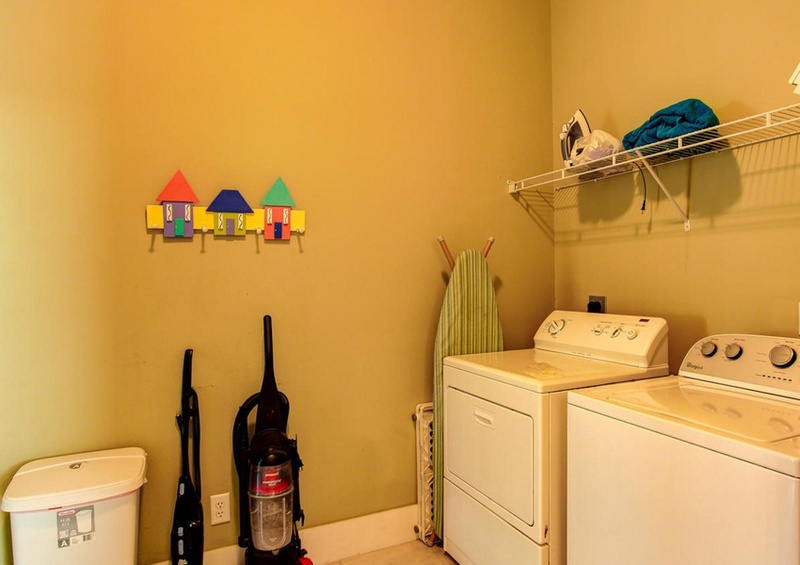 On the first floor you will also find the second bedroom accommodations and laundry units. 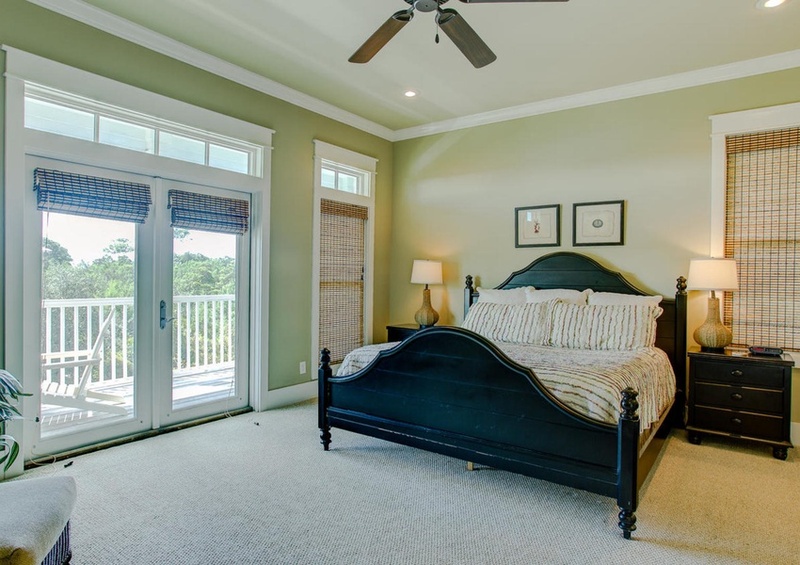 Up the stairs to the second floor will bring you to the master bedroom. 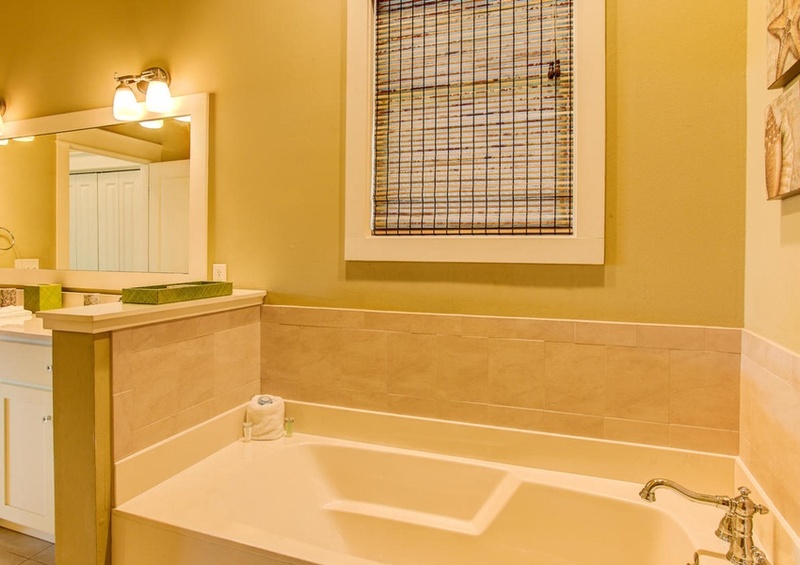 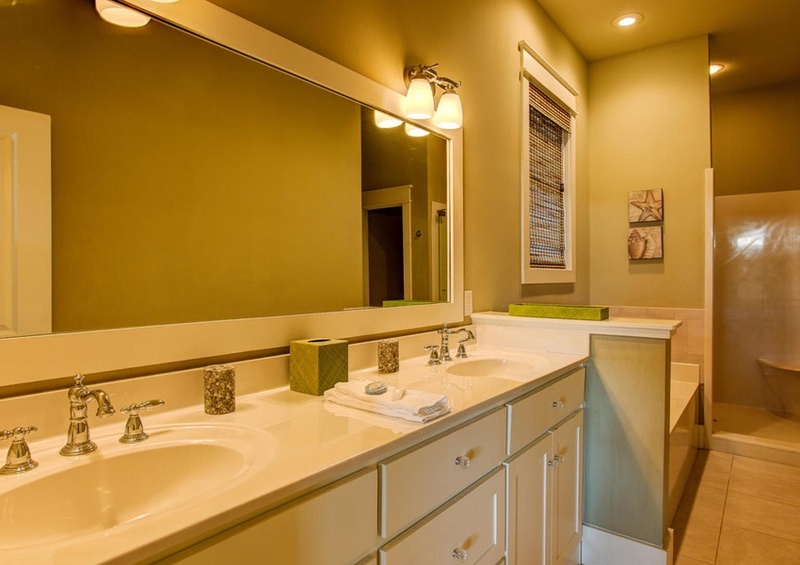 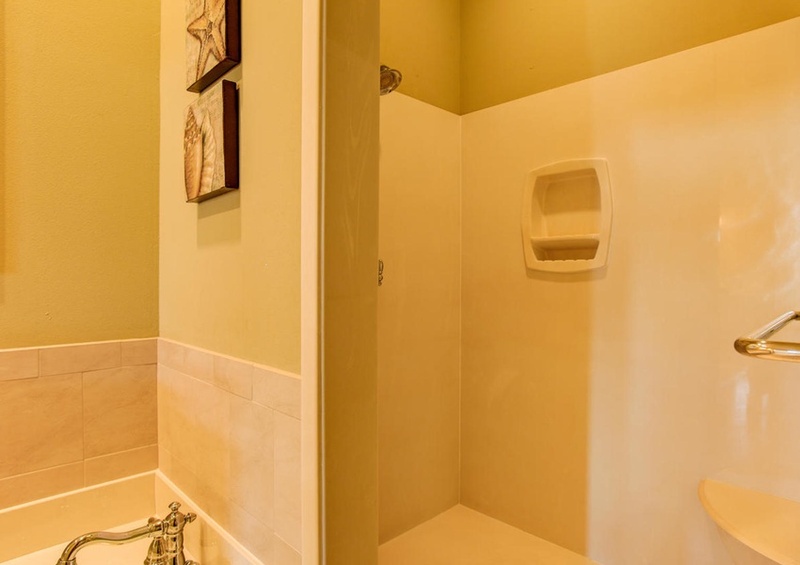 The luxurious en-suite bathroom features double vanities, walk-in shower, and large garden tub. 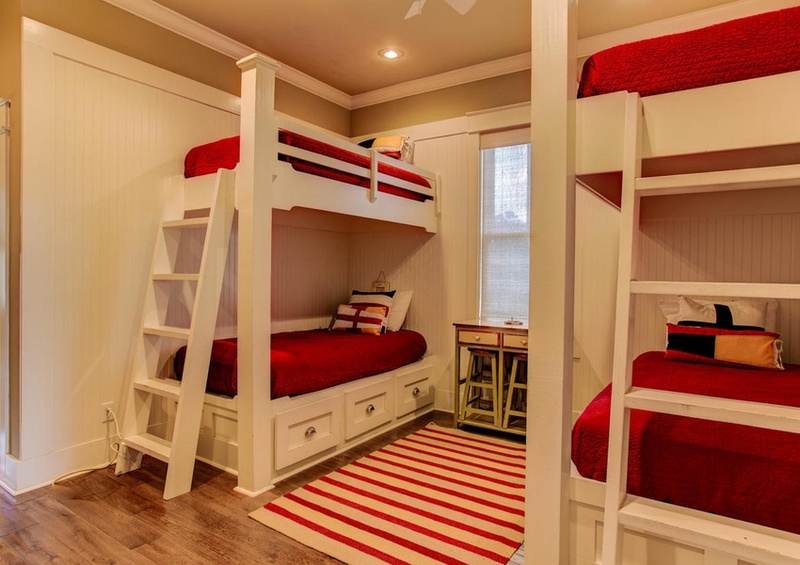 In addition, the third bedroom sports two twin beds, and two twin bunk beds! 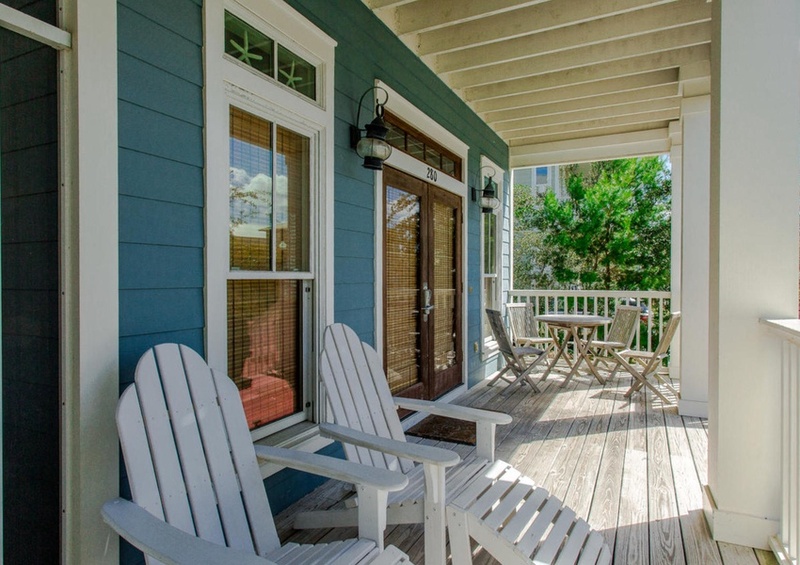 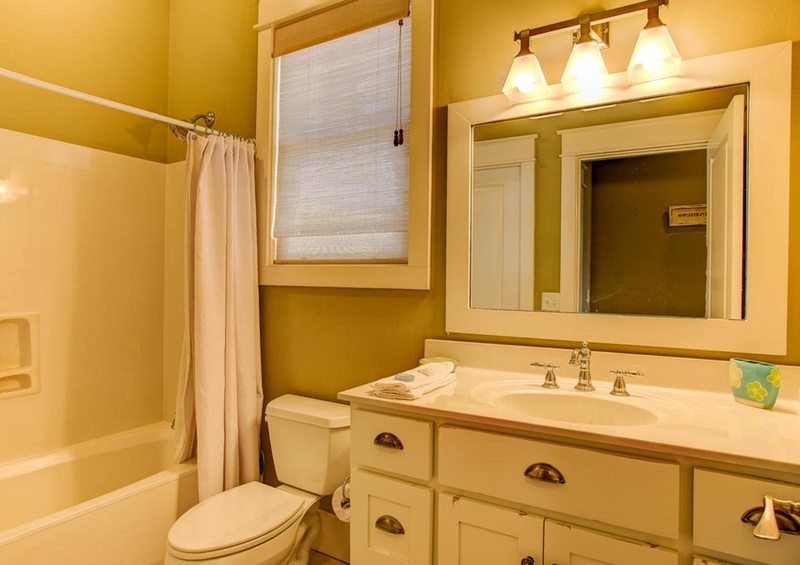 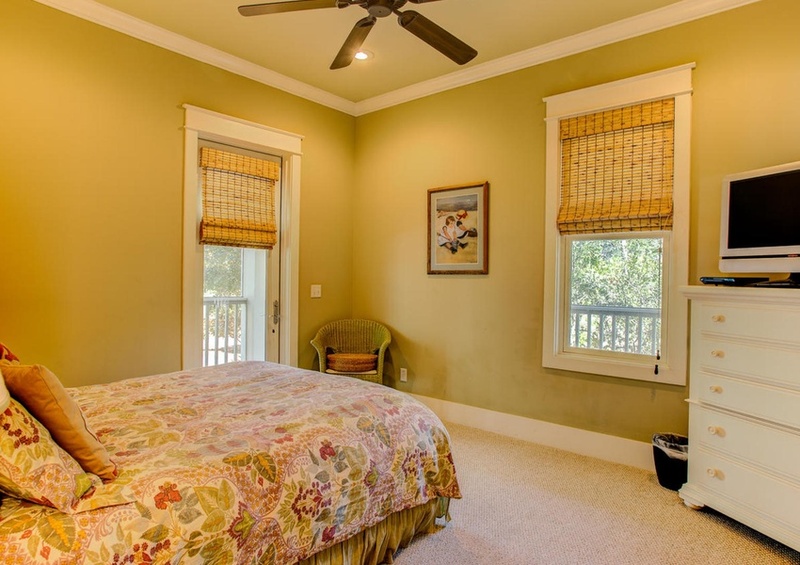 We know you’ll love the enjoyment and relaxation offered at the Blue Bell Cottage by Southern! 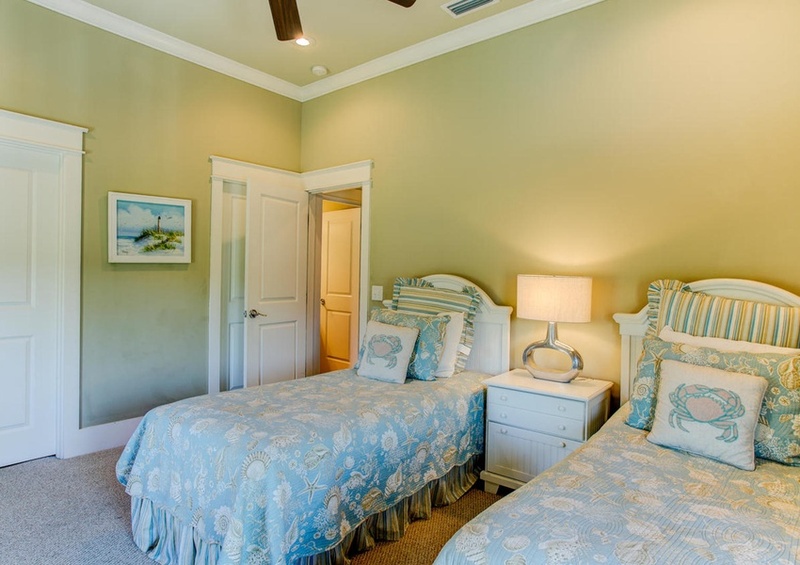 Don’t forget to also add a local event to your dream vacation plans! 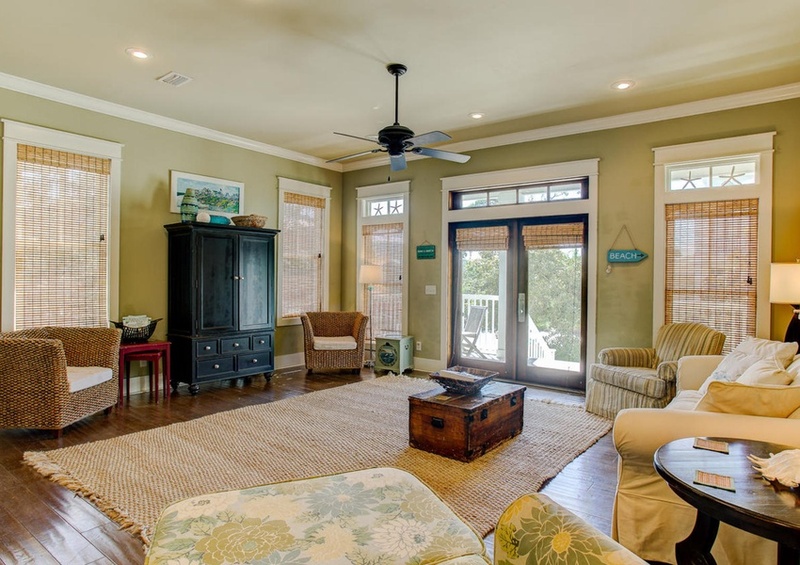 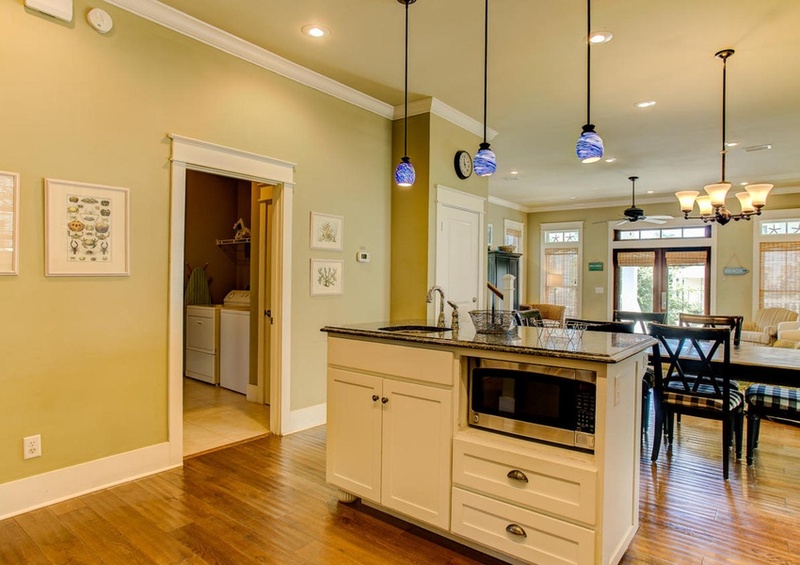 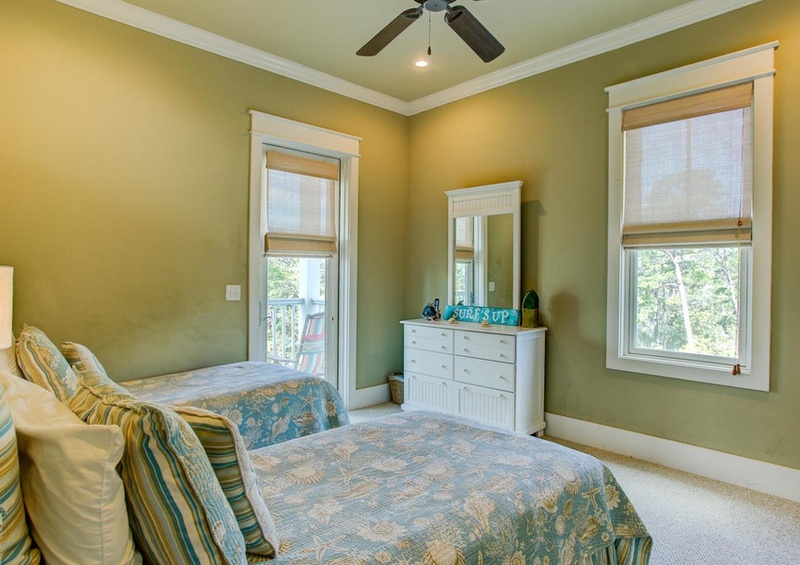 Book the Blue Bell Cottage Vacation Rental Home by Southern today!